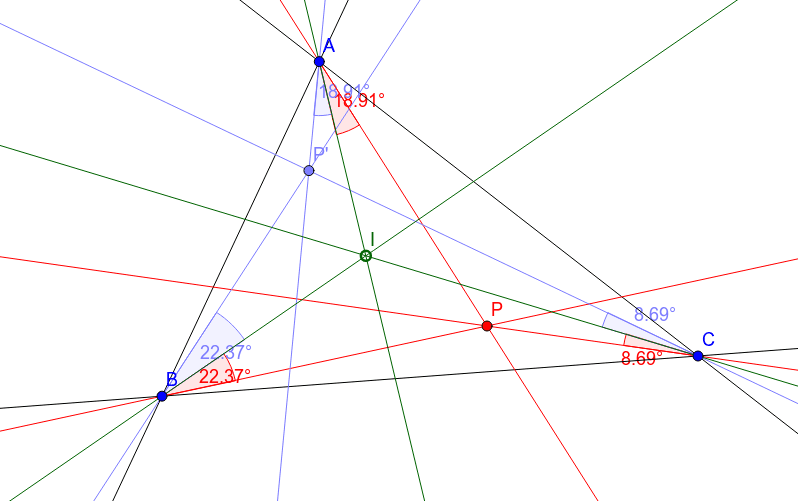 Points P and P' are Isogonal Conjugates when the cevians from the same vertex for P and P' make equal angles with the angle bisector of that vertex. The incenter is its own conjugate. If F is the conjugate transformation, F(P) = P' and F(P') = P and F(I) = I. The incenter is a fixed point of the transformation.